If you're looking for a streaming device for your television, Apple TV is one that you'll want to consider. It received a major overhaul in the fall of 2013, so some of the drawbacks that you might read about elsewhere no longer apply. I received an Apple TV in December of 2013 as a gift from a family member and found it very easy to install and use. While I was skeptical about how the device would compare to Roku (a streaming device I have enjoyed using for several years), I quickly learned that my concerns were unfounded. Apple TV is definitely a welcome addition to my home entertainment system. Despite what the name seems to imply, Apple TV is not in fact an actual television set. It is a streaming device, which is a box that allows you to stream content to your TV set via your home's Wi-Fi access. Just like your wireless router and Internet Service Provider (ISP) account allow your computer to access and display content from the Internet, Apple TV makes it possible for your television to do the same thing. This particular streaming device also allows you to display content from your iOS mobile devices and Mac computers (as well as PCs via iTunes) to your television, in essence allowing it to serve as a monitor for those types of equipment. As editor of LoveToKnow's technology channels, I often test and review electronic devices. Too often, new devices come with hard-to-follow instructions and set-up procedures that seem unnecessarily complicated. That is not the case with Apple TV. Installation goes quickly and is uncomplicated - you definitely don't have to be a techie or multimedia expert to get up and running with a new Apple TV. Before you start the set up process, you'll need a few things in addition to the device itself. HDTV: Apple TV only works on high-definition televisions, so you'll need an HDTV. HDMI cables: The cables you will need are not included, so you will need to purchase a set of HDMI cables separately. Power outlet: You'll need an available plug to use to power up the device. Wi-Fi information: You will need to know the name of your Wi-Fi network and its password. Plug the HDMI connectors into your television. Attach the HDMI cable to the device. Connect the power cord to the device. Change the input to the corresponding HDMI connection. The device should come on automatically at this point. If it does not, press the center button on the remote to activate it. Note that the remote's battery is pre-installed. If you have a third-generation Apple TV and an iOS 7 device, you can use the relatively new automatic setup option. Without this combination of devices, setup is still not difficult. Turn on your iOS 7 device (iPad, iPhone or iPod Touch). Make sure the iOS 7 device is connected to the Wi-Fi network you want to use for the Apple TV. Activate Bluetooth on the iOS 7 device. Touch the iOS device to the Apple TV box. Follow the on-screen setup prompts. The first time you turn on the device, you will need to specify the language you want to use. Once you have done that, the device will locate available Wi-Fi networks. Navigate to your network from the list of options using the up and down buttons on the remote. When you land on your network, press the center button. Enter the Wi-Fi password when prompted by the system. Once you are connected to Wi-Fi, you'll be prompted to agree or disagree to sending diagnostic information from Apple. Once you have set up the device, simply use the remote to navigate to content that you want to view. When you go back to it after the initial set up, you will need to choose the correct HDMI connection and turn on the unit using the center button of the remote. From the home screen, use the up, down, left and right buttons to navigate among the icons (which include content channels, settings, and feature selections such as iTunes radio and computers). Press the center button to select an icon once you have landed on it. When you are in an app or other feature, use the menu button to go back one level at a time, until you reach the home screen. It's a good idea to go to settings first and download the latest software update - otherwise you won't get any content channels that have been added since your unit was manufactured. Select software updates (be prepared that this may take some time). To make the most of your Apple TV, you'll want to turn on the Home Sharing feature on your computer(s) and on the Apple TV device. This will allow you to stream iTunes content to your television from your computer(s) whether they are PC or Mac machines. Note: Do this on all computers that you plan to use with your Apple TV. Apple TV provides more built-in content apps than ever before. PBS and Yahoo! Screen were added in November of 2013, joining Hulu Plus, Watch ESPN, BBC and others, making the device more competitive with the Roku player, an item that I have owned (and regularly used) for several years. 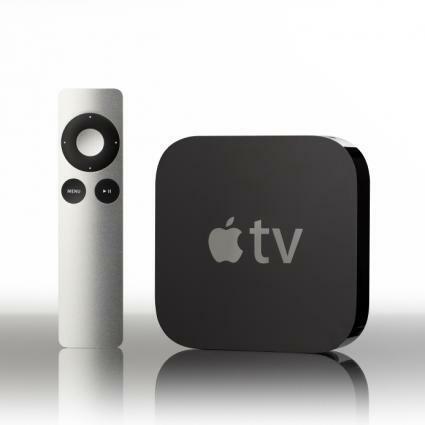 While Apple TV does not have as many content options as the variety of channels on Roku as of January of 2014, its selection is becoming more competitive. You can view a complete list of available channels on Apple.com. ComputerWorld expects that new channels will continue to be added. Notable features that Apple TV has that Roku does not include the ability to stream directly from iTunes and the ability to stream content from an iOS device wirelessly to the television. You can easily and wirelessly stream anything on your iPad, iPhone or Apple computer directly to your computer - from FaceTime to your favorite websites or streaming broadcasts. Roku does not have a comparable feature. Apple TV retails for $99, which is the same price as Roku 3, the brand's most advanced model. Lower priced Roku units are available, starting at just under $50. Since Apple TV allows you to stream content directly from any iOS device directly to your TV via AirPlay, it functions in a similar way to Chromecast, doing both less and more. Chromecast will allow you to stream content from any device that uses the Android operating system, the Chrome browser or iOS devices directly to your television, with a price tag of just $35 (as compared to Apple TV's $99). What Apple TV will not allow you to do that can do with Chromecast is stream content to your television from an Android device or from a PC (unless going through iTunes). Chromecast, however, does not have access to apps that allow you to stream content wirelessly to your television without having to go through a computer. If you're looking for an easy, relatively low cost way to expand your home entertainment options, Apple TV may be a good choice for you. Whether it's better for your needs that other streaming devices is really a function of your entertainment preferences. I like having both an Apple TV and a Roku (on different television sets) for variety, and as an Android owner I can also see the benefits of Chromecast. See Stream Engines: How to Choose Between the Apple TV, Roku 2 And Chromecast for a more detailed comparison of all three devices.